Added Entertainment to Qualifier Weekend! 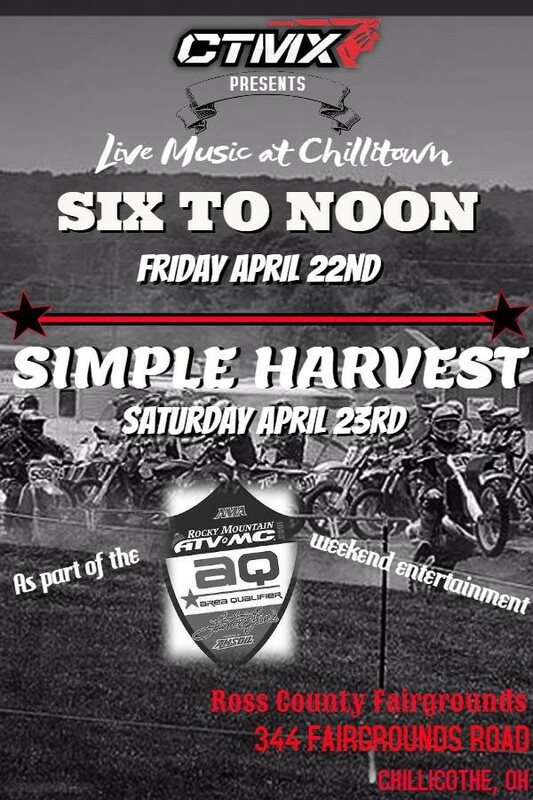 We have added some more entertainment to an already exciting race weekend at Chillitown MX April 22nd-24th! In addition to Simple Harvest rocking the stage Saturday April 23rd…we will now also have Six To Noon joining us on Friday April 22nd! Oh yea!!!! We’re gonna have a good time next month at CTMX! You better make plans now to come join in all of the fun. Bring the camper, bring your friends…watch some of the best motocross racers in the Midwest during the day and enjoy live and more entertainment in the evenings. Click on picture to go to CTMX facebook page!